Finding the perfect apartment can be a challenge, especially if you have furry friends. At Canyons at 45 West we understand the unique bond between people and their pets, that is why we offer pet friendly apartments in Amarillo. We welcome your pet with open arms and a scratch behind the ear. 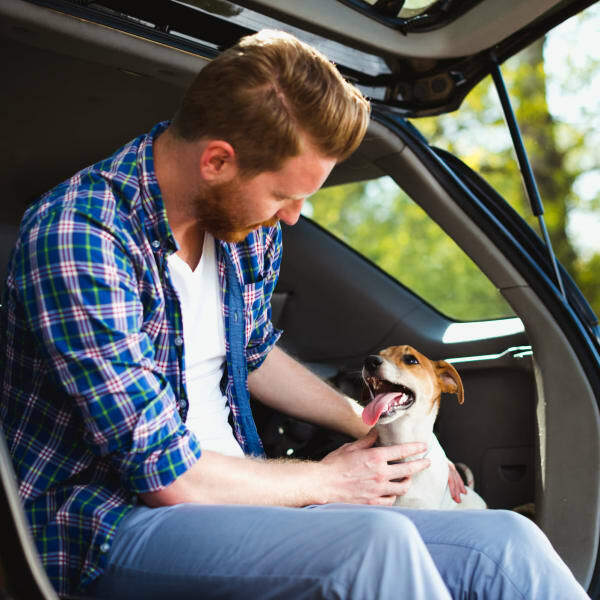 Not only will your pet find a cozy place to call home, they will also be able to take advantage of many of the great amenities within and around our community. Dog parks are conveniently located a short distance away for those pups wishing to socialize and stretch their legs a little further than our grounds are equipped for. Additionally, pet stores are located close by our pet friendly community. We hope after visiting Canyons at 45 West, you and your furry friend will both sit, stay, and lay down night after night at our Amarillo apartments.